Design, calibration, engineering, overall performance, dyno testing – these are just some of the things that we have our hands full with here at SLP. And while we love and enjoy what we do every day, sometimes it’s nice to grab the keys to a development vehicle and raise a little bit of hell. So that’s just what we did yesterday. When 5:00 hit, we climbed into our 2013 SLP-supercharged Camaro development vehicle and headed out to a secure off-road location and lit ‘em up. 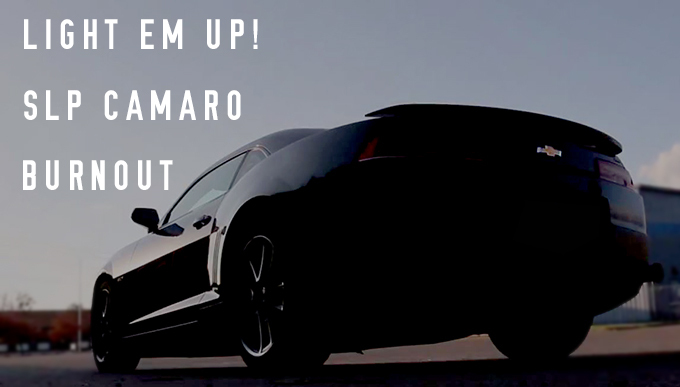 Check out the video footage of our 650-horsepower Camaro putting up some serious smoke! Check out SLP’s line of superchargers for your Camaro (or GM truck) by visiting www.slponline.com.